The Korean skincare routine is a daily 10 step face care regimen that is designed to make your skin smoother, clearer, and give it an overall dewy glow. Those that use the routine have also reported a reduction in pore size and skin breakouts. While some people swear by the results of the Korean skincare regimen, others say that it is too time-consuming. This article will explain the steps of the routine and provide tips to help you tailor the regimen to make it easier to fit into your daily skincare routine. 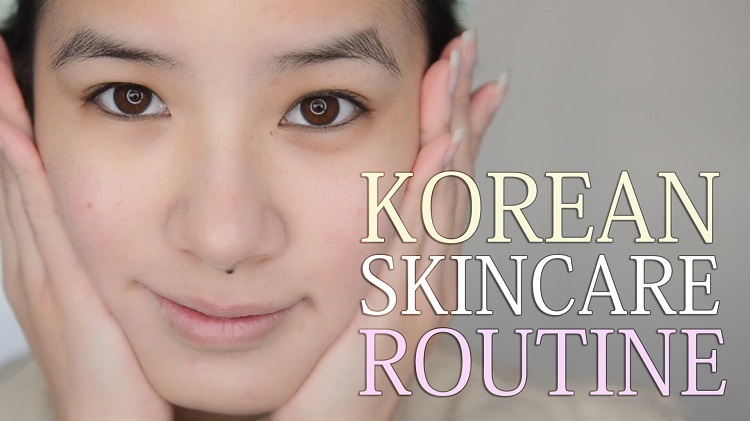 How Does the Korean Skincare Routine Work? Those that are reluctant to try this skincare routine believe that there is no way they can keep up with its demands. After trying the routine for themselves, they discover that it is pretty easy to tailor to their own desires. They also discover that some of the steps aren’t required every single day, while other steps really aren’t that hard to do. The number of steps you choose to include in your own Korean skincare routine should be based on your personal skincare goals after learning the purpose and benefits of each step. Pre-cleanse to remove all makeup and impurities from your skin. After you remove your makeup, rub an oil-based cleanser into your skin using gentle, circular strokes. Rinse the cleanser off with lukewarm water. Substitute a cream-based cleanser for this step if you have oily skin. Use a gentle foaming cleanser to wash your face. Foam the product up well in your hands before applying it to your skin. Rinse the cleanser off with room temperature water after you’re done. This step ensures that any residue from the oil-based cleanser is removed from your skin. If you have sensitive skin you can reduce this step to once or twice a week, or even once or twice a month depending on your skin type. Gently rub the exfoliant into your skin and rinse it off to remove dead skin and impurities while leaving your skin feeling soft and smooth. Applying a toner preps your skin for the next steps in the routine. It helps to balance the pH levels in your skin while adding necessary hydration. Hydrated skin will absorb the next skin treatments in the routine better. Essence is the heart of the Korean skincare routine. It serves a dual purpose by acting as a hybrid toner/serum blend that hydrates the skin while promoting skin repair and cell turnover. The best way to apply the essence is to spritz it onto the skin or pat it into the skin directly with your fingers. A sheet or face mask is used for this twice a week step. You can use it more often if you have extremely dry skin. Masks contain nutrients such as serums, collagen or vitamins that force your skin to soak them in far better than simply applying the cream directly to your skin. Serums are formulated to address different issues. You can choose just one or a combination that works best for issues that you want to address. This includes skin brightening, pigmentation issues, acne, wrinkles, and pore-refining. Wait 1-2 minutes between each serum before applying the next one so each one can absorb completely. Applying eye cream helps to add extra hydration and protection to this delicate area. You should never rub the cream in. Instead, gently tap it into the skin around your eyes. There are thinner moisturizers to apply during the day and ones that are thicker for nighttime use. The purpose of the moisturizer is to ensure that your skin remains hydrated and protected by sealing in the moisture from the previous steps. A sleeping mask helps to protect the skin and keep it hydrated overnight to ensure that your skin retains all of the moisturizing ingredients that you’ve applied. Although the basics of the Korean skincare routine are the same for everyone, there are a few steps that you can customize to fit your personal skincare needs and time restraints. There are also a few things that you can do to make sure that you get the most benefit out of each step. Make sure to give your skin a mini massage while you rub in the oil-based cleanser during the pre-cleanse step. This will increase your skin’s circulation and give it a brighter appearance. A cream-based cleanser won’t remove your makeup as well as an oil-based cleanser. Nonetheless, it is a better option for those that have oily skin. In Korean skincare there is a less is more view regarding exfoliating. When you incorporate this step into your routine make sure to focus on the t-zone and any areas where you frequently experience blackheads. You can use different serums on different days to save time if you don’t want to use them all on the same day. 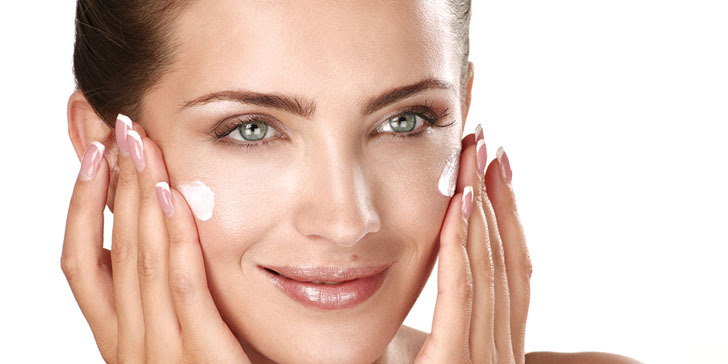 Moisturizers come in gels, lotions, emulsions and creams. It’s important to find the right form that will work for your specific skin type. Although there are a variety of products that you must purchase for this skincare routine and some time involved to use them all correctly, the end results are worth it. The entire process takes approximately 15 minutes to complete, minus the days when you add in any other steps that you don’t need to use daily. Those that use the Korean skincare routine report that the daily regimen gives them clearer, smoother skin with less visible pores. In the end, it’s up to you to decide if the entire process is worth it to improve the overall appearance of your skin.